If you’re from Barcelona you probably associate the name ‘Sirvent’ with turron, horchata and ice cream. However, in the past year or so, Sirvent has become much more than horchata. Still in the Sant Antoni neighbourhood, they’ve opened a large cafe with a gastronomic offer that goes from breakfast to lunch, snacks and dinner – passing, naturally, by brunch. When you enter the wide-open space, you’re immediately hit by the smells coming from the open bakery, and your brain will let your stomach know that it’s time to start rumbling. You may start to drool just a little, and all your thoughts will concentrate on one thing: how hungry you are. Happily, this cafe is open every day between 9am and midnight, and they serve brunch at the weekend between 11am and 3pm. 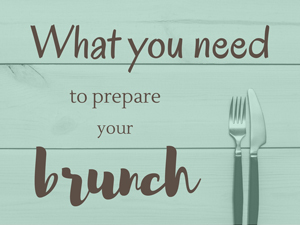 The brunch menu is pretty comprehensive – you’ll find pancakes and waffles (sweet and savoury), salads, sandwiches, hamburgers, and egg dishes. If you’d like to have your brunch with a cocktail or two, you can order a Mimosa or a Bellini for 3.90€, and a Bloody Mary for 5.50€. If you’re a little more into juices, there are various natural fruit juice options for 3.50€. The price/quality ratio here is excellent – especially given that you can enjoy your brunch in a relaxed and welcoming atmosphere, with jazz and swing music in the background that’s quiet enough to allow you to talk without having to raise your voice. 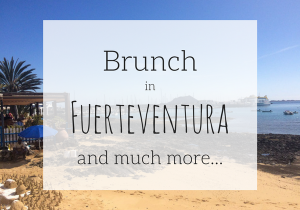 This charming brunch in Sant Antoni will definitely go on my list of favourites. Just a reminder, that you can see all my favourite Barcelona brunches at a glance by clicking on this button that you find on the brunch search page or on the blog’s home page.